Happiness tends to anticipate a bright future, while contentment tends to arise after an inner achievement. Contentment arises when you’re living up to your own expectations and your internal moral code, and when you’ve accomplished an important goal or done your work well and properly. When it’s healthy, your contentment comes forward in response to tangible actions and the mastery of challenges. Contentment arises when you’ve worked hard and well, and it relates to your healthy self image. This means that it has a close connection to your healthy anger, and especially to your healthy shame – and I bet you won’t hear that in many other places, but hear me out. When you set clear boundaries, behave honorably, and act conscientiously (these are actions that your healthy anger and shame will help you make), your contentment will arise naturally as a kind of reward, “Good job!” Contentment arises to tell you when you’ve done good work – not simply in regard to your accomplishments, but also in regard to your treatment of yourself and others. If you attend to your anger and your shame honorably, you’ll naturally feel contented and proud of yourself – because you’ll have done good work inside yourself and in relation to the people in your life. But if you don’t work well with your anger and shame, and if your shame is primarily inauthentic and self-tormenting, your contentment might not arise reliably, and your self-regard and self-image might be pretty low. Accordingly, when you have a problem with self-esteem, you’ll often look for ways to increase contentment and happiness first, so that you can feel better about yourself. But it doesn’t work that way, because contentment arises for very specific reasons, and you can’t take a shortcut to get there. If you have very low self-regard, contentment is probably the emotion you’d like to feel, but working on your boundaries (the gifts of anger) and your behavior (the gifts of shame) will actually help your contentment arise naturally. Contentment also arises when you’ve successfully navigated through your difficult emotions – especially your anger, hatred, and shame. Authentic contentment arises reliably when you respect yourself and others, and when you respect your emotions and allow them to guide your behavior. ACTION REQUIRED: Contentment arises to help you look toward yourself with pride and satisfaction. THE INTERNAL STATEMENT: Thank you for renewing my faith in myself! Parenting and teaching styles can interfere with the development of healthy contentment and self-confidence. Certainly, parents who shame their children can really throw a wrench into this emotional area – but so can parents who overpraise and reward their children for everything. The trick with contentment is to help a child associate it with actions that are commendable, and that they themselves feel proud and contented about. A good teaching game for discovering how a child is working with his or her contentment might be creating tasks that the child can complete, and then checking in to see if the child is satisfied with his or her performance. You can find out a great deal about a child’s self-concept when you can play with contentment in this way. As you grow, social structures often interfere with your authentic contentment by trying to replace or usurp your natural internal confirmations with prizes and praise that come from the external world. While it’s very nice to receive gold stars, awards, extra privileges, and special attention, these fabricated confirmations can actually short-circuit your own ability to feel honest pride or self-worth unless someone throws a party every time you accomplish something. External praise also contains a troublesome aspect that is not a part of internal contentment – and that’s competition. All external praise and awards come with built-in comparisons that place you in competition with others. Though the awards and praise may have their own value, they may isolate you from your peers and identify you as a competitor or a pleaser, which will often bring your natural shame forward to question the “fun” of winning. In natural and non-competitive contentment, your achievements aren’t about doing better than others, but about honoring your own good judgment and your own values. If you can’t connect with your natural contentment, you may find that you have a short-circuit that was created by authoritarian, scholastic, or parental structures. This short-circuit may lead you to seek praise and awards instead of your own internal confirmations. This often means you’ll tend toward pleasing and perfectionism instead of wholeness and emotional agility. You’ll tend toward following this rule, chasing that award, and constantly measuring yourself against external expectations (or fighting the awards and losing your drive), instead of allowing your honest emotional reactions to guide you. Luckily, there’s a practice to disentangle yourself from externally applied expectations and behavioral control: Burn your contracts and reanimate your authentic contentment once again! Then, when you’re connected to your own internal wisdom, you can guide, correct, and validate yourself in self-respecting ways rather than relying on external validation. The practice for all of the happiness-based emotions is extremely simple and infinitely hard (at first): You acknowledge them, thank them, and then let them go completely. If you force your contentment (or any other form of happiness) to be your leading emotional state, you’ll lose your emotional agility, and you’ll lose your way. Real, honest contentment arises naturally when you work with all of your emotions in healing and honorable ways. Welcome your contentment with open arms when it arises, thank it, and congratulate yourself (Thank you for renewing my faith in myself!) – then let it go and trust it to come back the next time you honor yourself and behave in ways that make you feel proud. Your contentment arises naturally when you’ve done an excellent job. Good on you, and thank you, contentment! Interestingly, too much self-esteem and contentment can be very problematic, and both can actually be a factor in bullying. Bullying is a huge issue in schools, online, and in the workplace, and it’s a situation in which people feel free to pick on, harass, isolate, shame, and intimidate others. Bullying can start quite early – it’s been observed in children as young as three years old (these children were often exposed to a lot of aggressive behavior, including violent movies and TV shows). Luckily, many bullying prevention programs (NoBully.com is one of the most empathically grounded) have sprung up to address the problem of bullying. Bullying is no longer considered an acceptable way to behave. There are a lot of problematic emotions involved in bullying; and certainly, you can see the anger dysfunction and the distinct lack of healthy shame, but there’s a surprising emotional condition that also occurs in bullying: in many cases, contentment has gone completely off the rails. We can clearly see that abusers and bullies have problems with anger and shame. Their anger gets unleashed constantly without any moderation from healthy shame – which means that they don’t have healthy brakes on their anger; and subsequently, they behave in dishonorable and dishonoring ways. But strangely, many bullies also score high on tests of self-esteem, which means that their contentment is in high gear even though their behavior is the exact opposite of worthwhile or commendable. In the bullies I’ve observed, shame becomes unhinged somehow, and it no longer works to help the person manage his or her behavior or boundaries. The rules of normal behavior get erased, and the person finds a way to feel twisted contentment that doesn’t actually track to anything real. No one who is good with anger, shame, or contentment would ever try to deactivate these emotions in others. Nope. Bullies aren’t fooling me. The contentment inside a bully seems to be saying, “Yeah, my anger is so righteous! I don’t ever need to feel ashamed of anything I do, so yay for me, and screw everyone else!” It’s a hellish, unhinged, inflated form of contentment. So you might think, hey, bullies love anger and contentment! Yet if you look at the way bullies work, you’ll notice that they primarily force shame onto others and attempt to break down the self-image and boundaries of their victims. Bullies might crow about the glories of anger, yet they don’t actually make any room for healthy anger or natural contentment to exist in others. So even though they seem to be very comfortable with anger and wildly full of contentment (and essentially shameless) – bullies spend an awful lot of time deactivating the contentment, the anger, and the boundaries of their targets with huge helpings of toxic shame. This tells me that their anger posturing, their seeming lack of shame, and their artificially inflated contentment are all a show. No one who is good with anger, shame, or contentment would ever try to deactivate these emotions in others. Nope. Bullies aren’t fooling me. Many people think that the cure for bullying is to use shame, punishment, and social shunning to bring the bully back into line – but this is the precisely wrong tack to use with a person who already has a severely destabilizing problem with shame (and a deeply problematic connection to anger and contentment). A chastised bully might publicly apologize and show contrition, but applying more shame to a person with a severe shame dysfunction will backfire – and in some cases, it will essentially harden and weaponize the bully. If you recall the emotion channeling exercise I posted a while back (where our friend shockingly insulted us in front of others), you’ll remember that a person who attacks others already has very poor boundaries. If you attack back, you can easily injure and enrage him or her. That’s not smart. People have a lot of bully-lore about fighting back, but bullies expect a fight, and they’re ready for it. They’re stuck in a feedback loop with anger, and if you engage clumsily, you’ll make things worse. Bullies need to learn how to feel healthy shame properly, and as we all know, healthy shame can’t come from the outside; it has to be authentic to the individual. Empathy training in a safe space, mediation, and active engagement in reparations (see NoBully.com for ideas) can help bullies re-enter the community and become able to relate in honorable ways again. Certainly, their misdeeds and abuses need to be stopped, but bullying is a sign of emotional dysfunction, unhealthy contentment inflation, and an empathy deficit; bullies need to be retrained in how to function socially, emotionally, and empathically. It can be done. When I look at bullies, I see a hall of mirrors that reaches back to antiquity to show us just how little understanding we have of emotions, and especially of anger. Yes, a bully needs to take responsibility for what he or she has done, but considering the emotional training we all receive, I’m not surprised by bullying and social violence at all. It’s just one more example of the very poor Emotion Regulation skills most people have. If you can look at it that way – as a skills issue – it’s easier to view a bully as a person in need, and not as a fiend or a monster. Something that can really help bullies is to engage them in a form of aggression that includes rules, boundaries, and honor. Aikido and other marital arts, fencing, kick-boxing – even some video game communities – can help teach people how to channel aggression in safe, rhythmic, and strongly thresholded ways. The problem isn’t that anger exists or that the bullies express anger – it’s that the bully has no respect for boundaries, and no practice for anger. 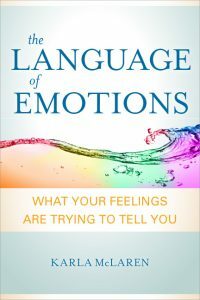 If you can address the actual emotional dysfunction that’s occurring, you can help bullies restore their shame to its rightful position, learn how to manage their anger honorably, and learn how to feel healthy contentment once again. Thank you for bringing your empathic intelligence to our waiting world! Hi Karla I have been seeing lots of information concerning gratitude. (Cultivating it as a habit, writing 5 a day, etc.) Seems that sources agree that a “sense” of gratitude promotes well being. (Brain activity?) Where do you see gratitude fitting into in your emotional line up? I chose to leave this comment under the blog about contentment, thinking that if one feels content, gratitude may be in there somewhere? I am guessing that it is not an emotion, but when you are “feeling” grateful, are you feeling it, or maybe just thinking it? Curious to see where you thoughts go on this. Hello Patricia, great question! I think that gratitude is more of a state or a behavior than it is an emotion, and I also think that it involves mixed emotions. We’re doing Emotion Theatre today in Seattle — and I’ll ask the players to enact gratitude and see which emotions are most activated. Thanks for the idea! I’ll let you know what we come up with. Hi Karla, just wondering if you were able to get more ideas about gratitude? Just wondering what emotions could be involved. I am recently reading so much about the techniques that help us evoke ,more or less “regulate” our brain patterns (you know, the neuroscience stuff of late, lower brain higher brain, etc) Just wondering if gratitude may have the same effect as, say compassion, kindness,etc. It is all so fascinating. Oh hello again Patricia; thanks for reminding me! We did look at gratitude with the Emotion Theatre players, and we got happiness and joy, certainly, some contentment too, and sadness associated with the sense of release. There was also some healthy jealousy and envy associated with receiving something that was valuable, and both emotions were involved in helping us give thanks. There was also some healthy shame helping us be grateful, and anxiety was watchful, looking ahead in terms of our future connection to valuable experiences, things, and people. There may be some things we missed, but that was what we got on that day with that group of players. This was a very complex emotional state, and it was a great exercise, thanks!